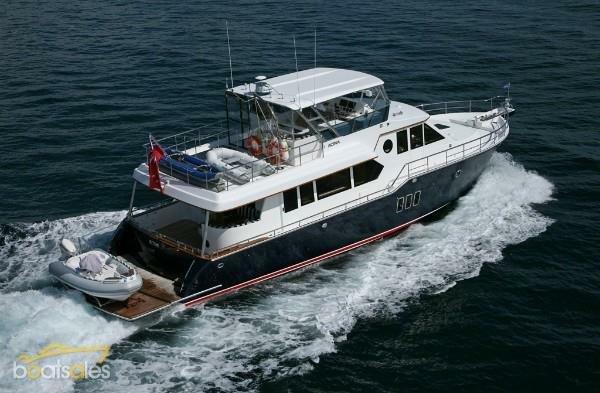 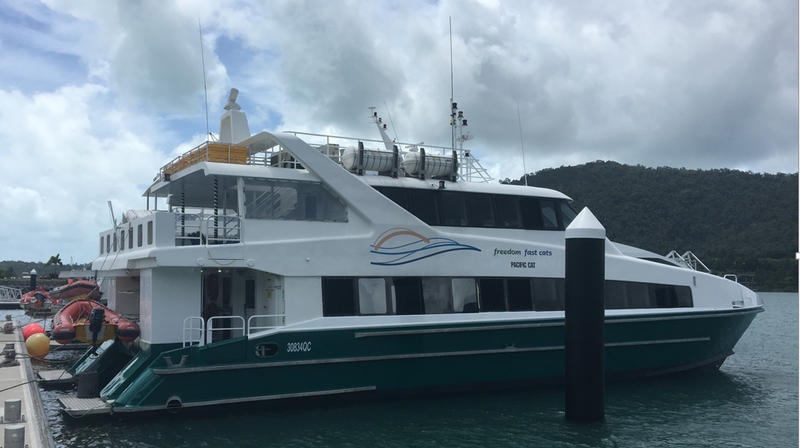 This luxury customised family and charter boat was launched late 2008, replacement is over $3,000,000 with all included options. 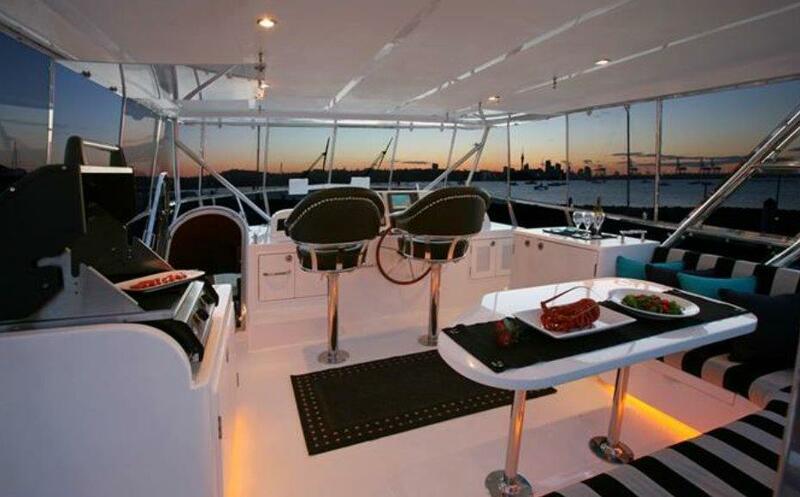 Own an income producing asset the whole family can enjoy. 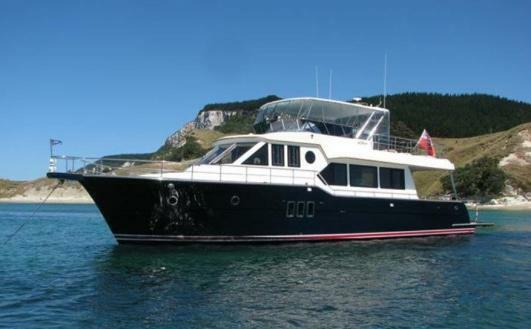 Currently operating in charter and lying in New Zealand. 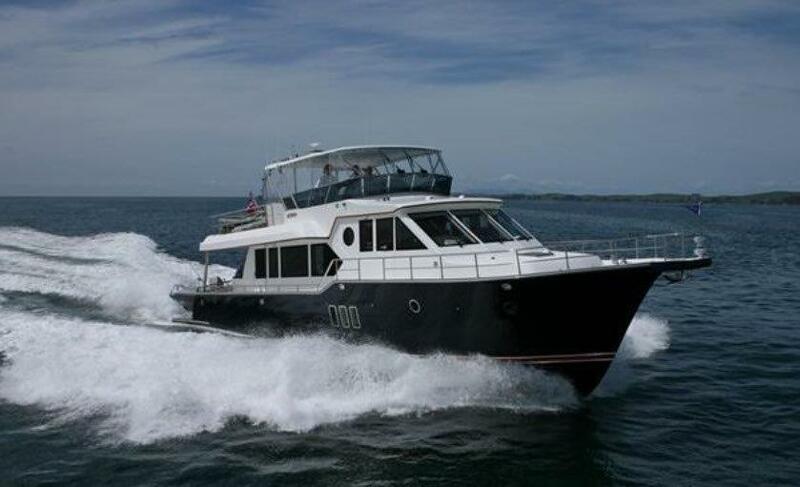 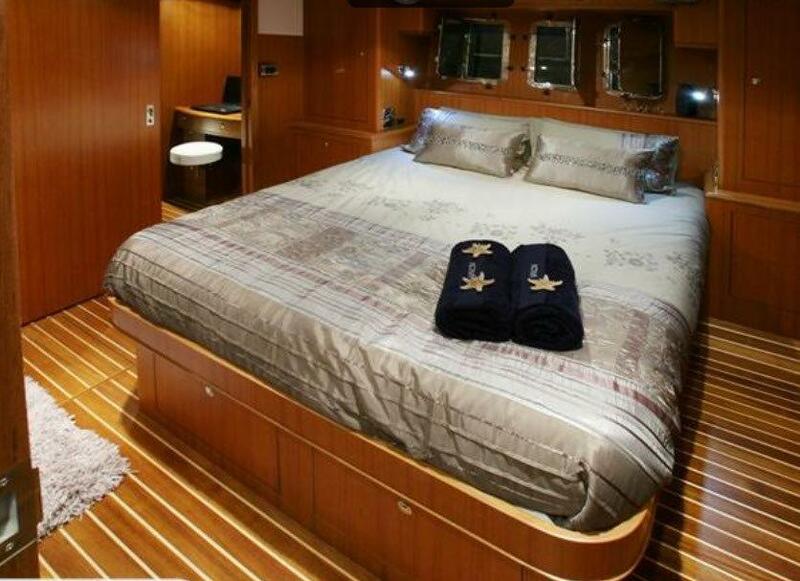 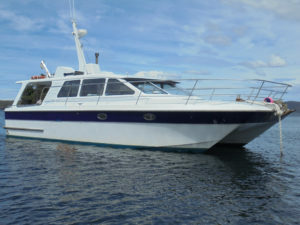 Launched 2008 this Activa 6400 Motor yacht presents as new with only 800 hrs on the main engines. 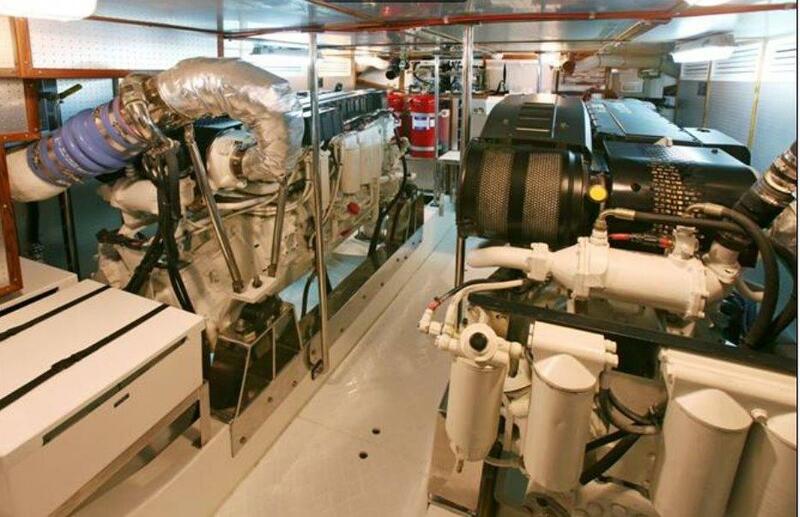 Twin Volvo D12 six cylinder 775HP per side. 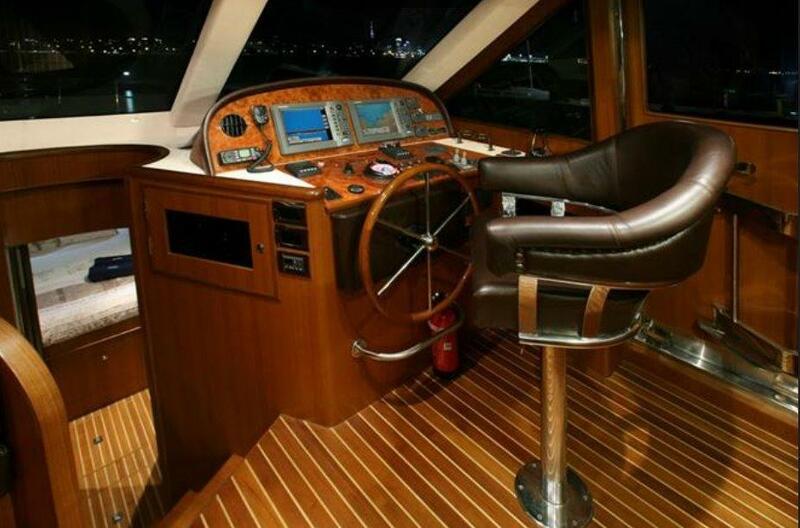 16 – 21 knots, 25 knots possible with ECU chip upgrade. 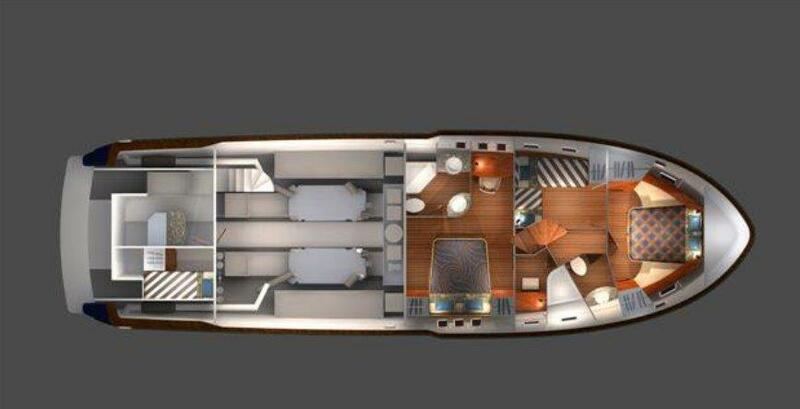 Large moulded air-conditioned flybridge that opens completely for all weather comfort and with its great views is a nice all weather dining area. 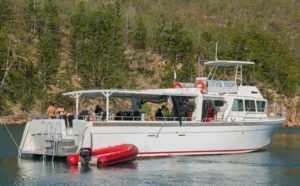 Dive and tender platform hydraulically lowered. 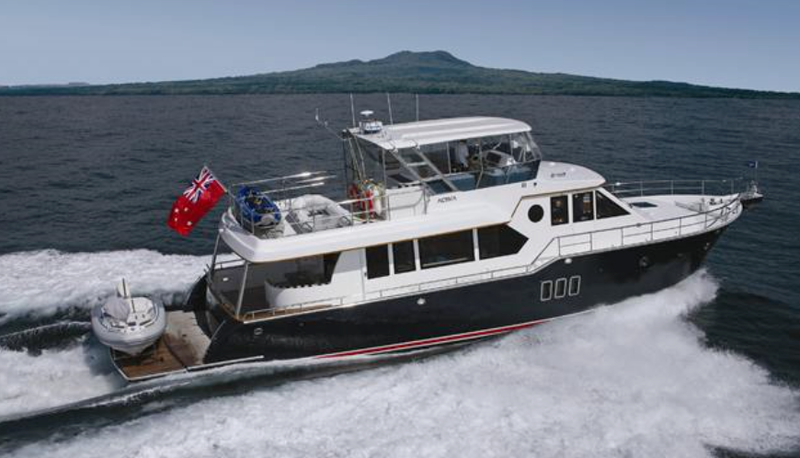 New Zealand survey for 35 day passengers, overnight survey available. 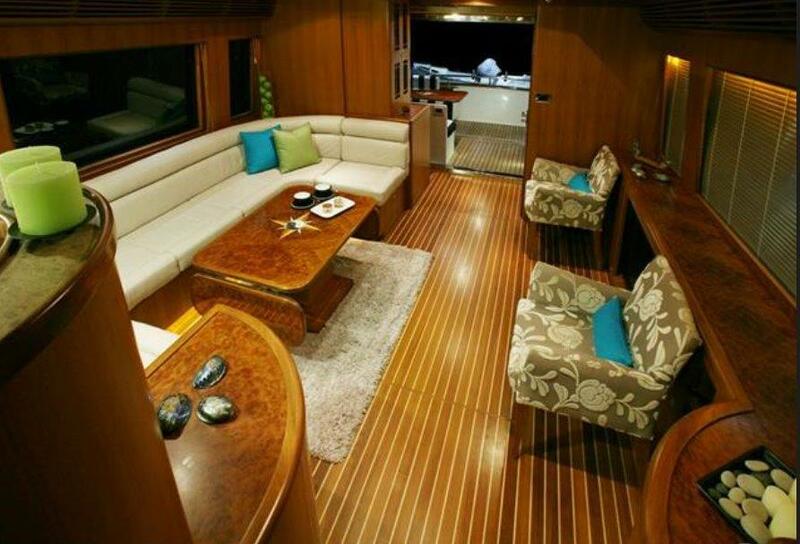 Teak saloon that fully opens to the cockpit with double stainless doors for good flow. 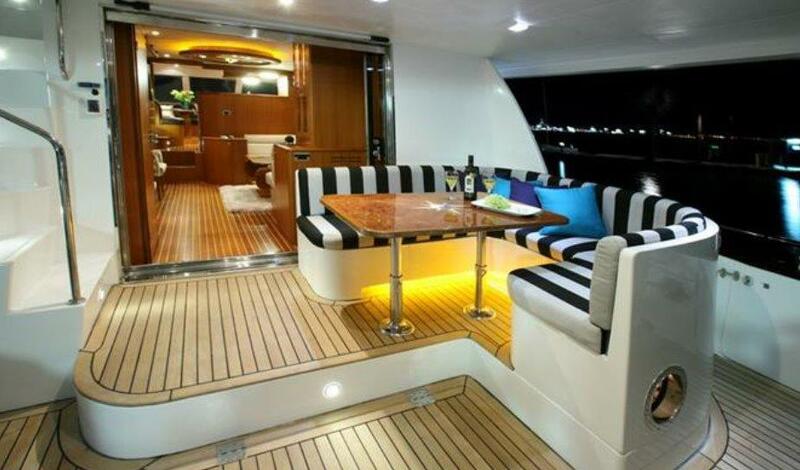 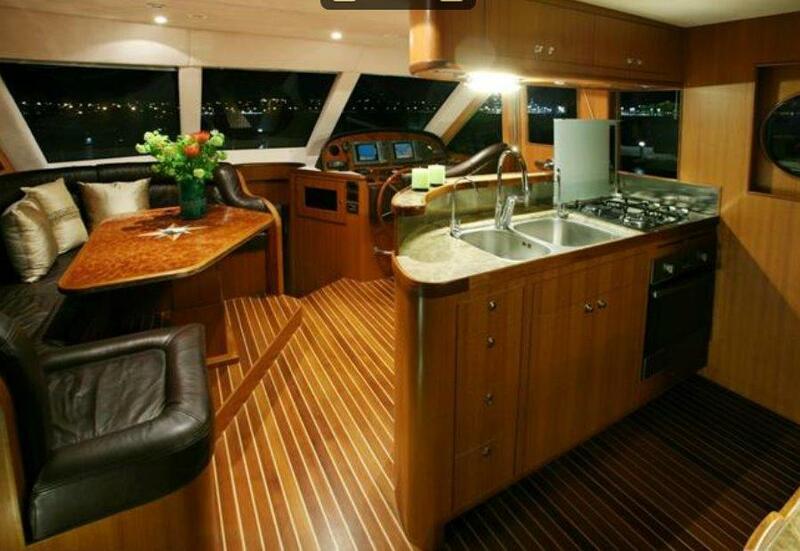 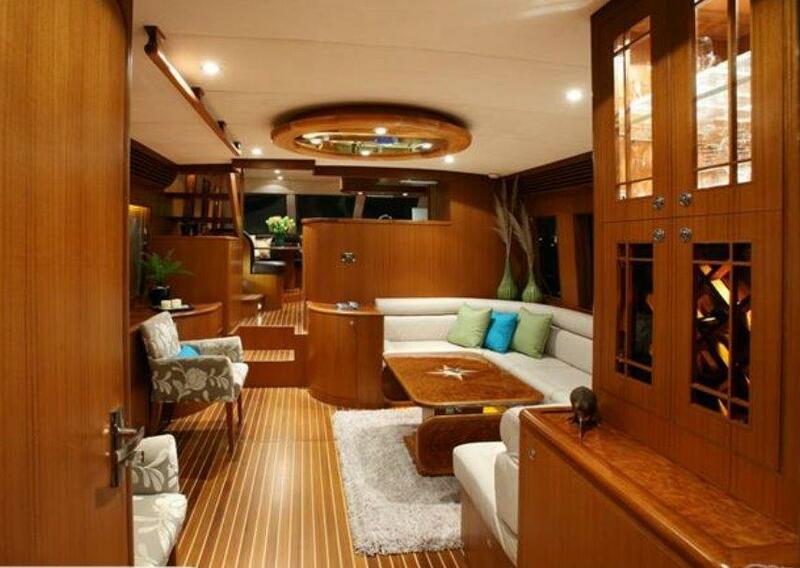 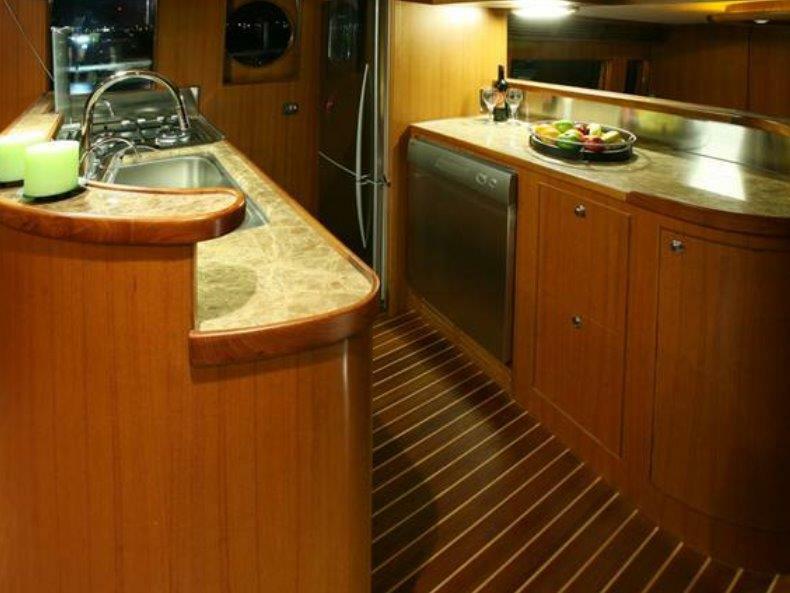 2 steps above is the impressive galley and a second 7 seater dinette. 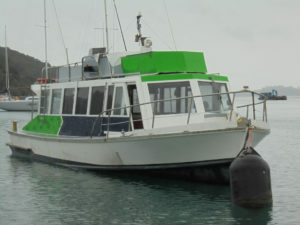 4 Screen Furuno additional electronics to meet survey. 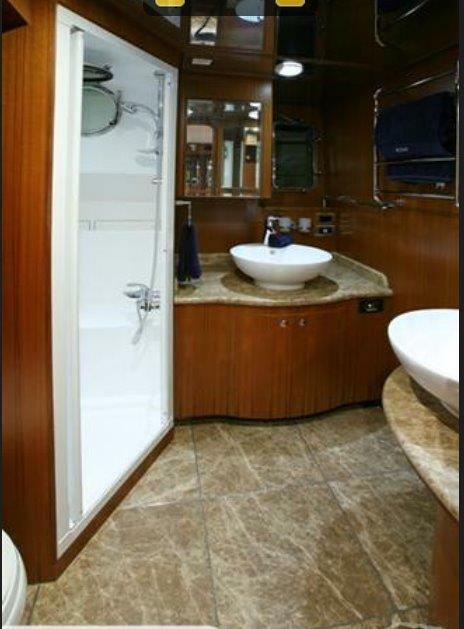 2 double kayaks and 2.7m tender.